…and this is where you need to take a leaf out of Indie’s book and believe, because, apart from hard slog, one of the other features of research is serendipity. And this can occur in all sorts of ways and places. Never, for instance, underestimate the importance of the parents who brought you into the world, tenderly nurtured you, sent you off to university with boxes of tea bags and became slowly bemused by what it is you actually do while you’re there…Yet your attempt to engage your parents in the finer details of your dissertation might just pay off. Two weeks ago, for instance, I got an email from my father with a link to Christie’s auction house. 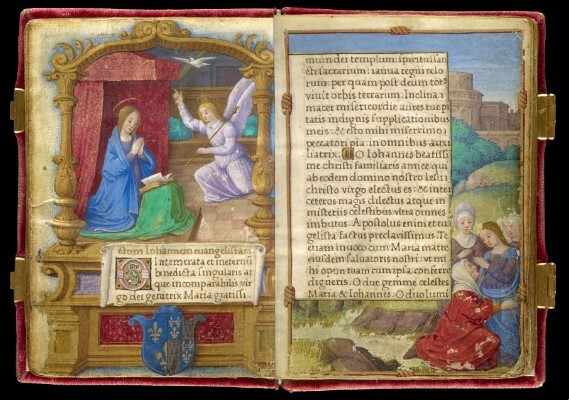 ‘I spotted this in the Guardian and wondered if you’d seen it?’ The link was to a tiny manuscript, measuring just 95 x 60mm and illuminated by the Master of Claude of France, so-called for his other jewel-like prayer books created for Claude, Queen of France, in the early sixteenth century. My dad has clearly learnt something from his daughter’s obsession with medieval women and their manuscripts. Queen Claude (1499-1524) and her younger sister Renée (1510-1575) were themselves the daughters of the French king and queen, Louis XII and Anne of Brittany. Anne seemingly had a penchant for miniscule books, one of which is preserved in the Bibliothèque nationale de France in Paris (BnF, NAL, 3120). The Très Petites Heures (65 x 40 mm) is a book of hours, that most popular of medieval books which consists of a series of daily prayers and accompanying illustrations. The Très Petites Heures includes Anne’s emblems at what might be considered strategic places in a manuscript made for a queen and mother of the heirs to the French kingdom: the Visitation, for instance, and the Virgin’s Coronation. 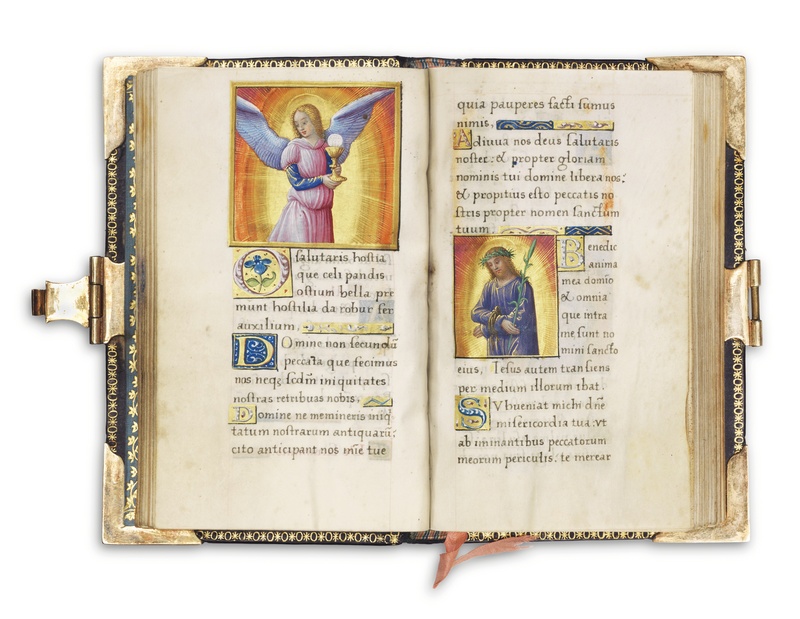 This penchant for small books she passed on to her daughter Claude, whose own prayer book, now in the Pierpont Morgan library in New York is similarly petit (69 x 49 mm), as is its companion book of hours, now in a private collection (84 x 55mm). Claude’s books are lavishly illuminated and chock-full of her symbols, like the cordelière, the knotted cord motif that she inherited from her mother. 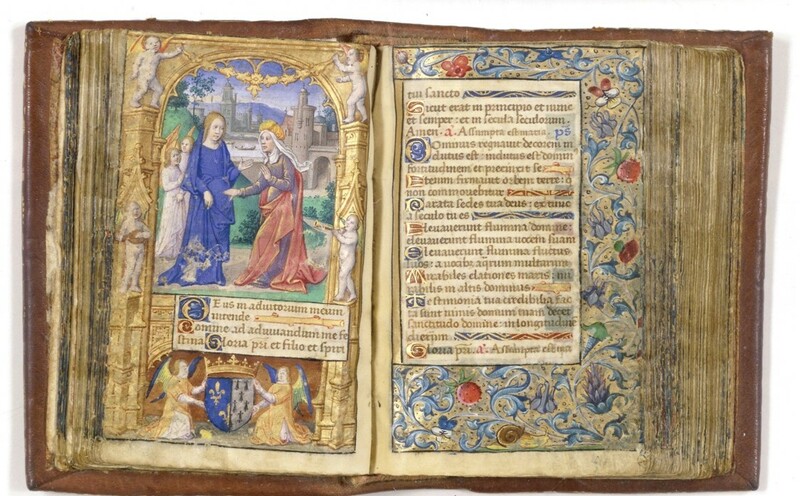 The prayer book’s miniatures of the Annunciation and the Virgin and Child include Claude’s coat of arms in the bas-de-page which, as with the Visitation and Coronation scenes in her mother’s Très Petites Heures, surely drew attention to Claude’s role as queen and mother. Claude’s short life was spent fulfilling her maternal duty. She gave birth to seven children, only two of whom survived beyond their teens, before dying at just 24 years of age. Her sister Renée, who lived until she was 65, fared somewhat better, although her marriage to Ercolo d’Este, son of the duke of Ferrara, was a political arrangement by Francis I to aid his cause against the Holy Roman Emperor, Charles V. Renée’s books, however, were less long-lived: victims of her sympathy for religious reform, many of them were destroyed or burnt during the Inquisition before which she herself had to appear. 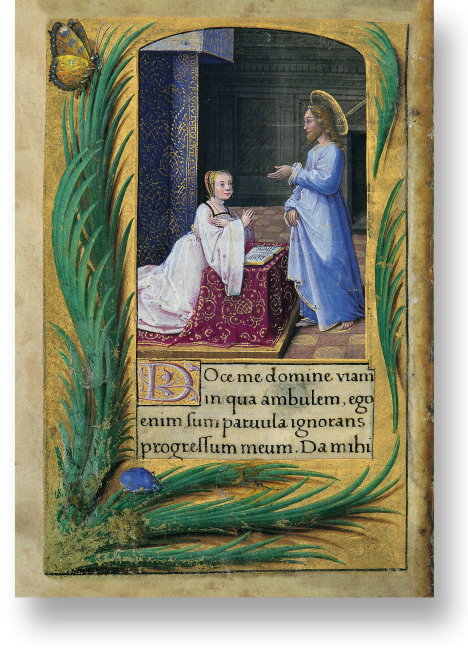 One of her books did survive, her Petites Prières (though not quite as small as her mother’s and sister’s volumes at relatively large 122 x 88 mm), and in one of the miniatures it shows Renée in direct communion with Christ, an important theme of the Reformation. Yet this manuscript was stolen from the Bibliotheca Estensa in Modena in the mid-nineties, though not before a facsimile was made, thankfully. So, when my father’s email popped into my inbox and I began perusing the catalogue description, I was particularly excited to see that the manuscript up for sale was not only by Claude’s favourite illuminator but that it was also being associated with Renée. Furthermore, it was completely unknown to manuscript aficionados: it was put on the market by a noble Scottish family, in whose possession it had been since it had been given to them as a gift by Princess Charlotte Augusta of Wales, daughter of the Prince Regent, later George IV, in early nineteenth century. This information was enough reason to do some last-minute rearranging so that I could squeeze in a day-return to Christie’s before it went under the hammer with an estimate of £500,000-£800,000. At Christie’s in King Street, in the rare books and manuscripts viewing room, the manuscript was removed from its glass case and simply handed over to me and my colleague (whose day-return from Paris was slightly more expensive than, though just as quick as, my ticket from Birmingham) to peruse, photograph, and marvel over. Apart from the royal associations of the artist and the manuscript’s size, the evidence for a connection with Renée was perhaps compelling rather than definitive. 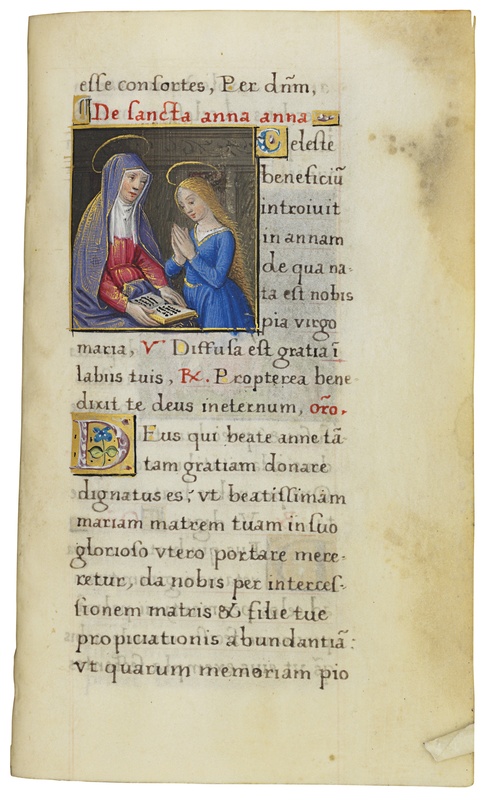 A prayer in the female voice and the inclusion of the Hours of the Conception of the Virgin would imply a secular woman owner and the facing-page prayers to St Louis and St Anne, patron saints of Renée’s parents in the suffrages, as well as the inclusion of St Renatus (aka René) certainly bring Renée to mind. There are also cordelière line fillers scattered throughout the manuscript. These are less evident than in Claude’s prayer book where they frame every page but are perhaps another indication of an association with Renée. Either way, this manuscript is clearly an important new find which will no doubt prove an important factor in the research that my colleague and I are currently conducting into manuscripts and books owned by Claude and the women in her entourage. 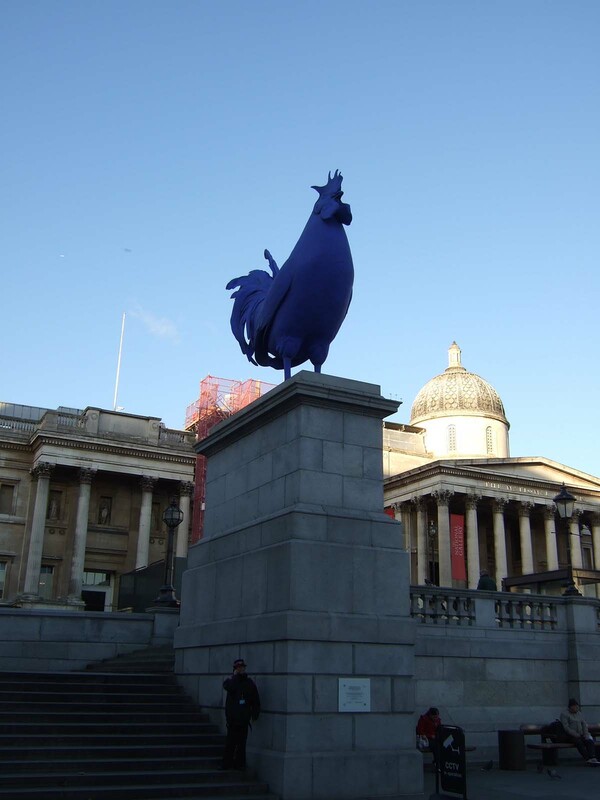 Sometimes things just come together and as my colleague and I walked from Christie’s down towards Trafalgar Square, a statue of George III wrapped up in hat and scarf for the cold weather gave us an additional reason to smile…as did the enormous blue chicken currently gracing the fourth plinth. 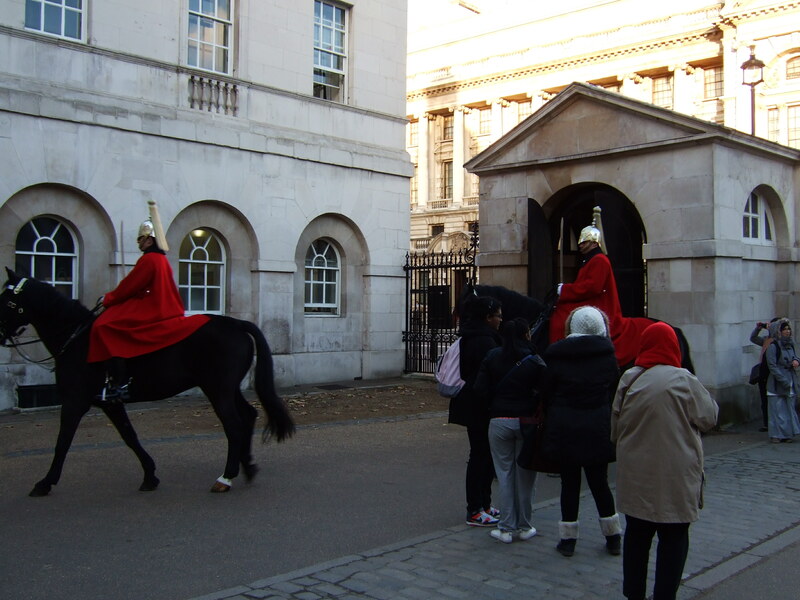 And then, as we looped back and mooched through Horse Guards Parade and under the Arch onto Whitehall, we came across a group of tourists literally getting under the feet of members of the Household Cavalry as the mounted sentries changed over. Not quite the Trooping of the Colour but despite growing up in London I’m not sure I’d ever seen the red-caped and shiny-helmeted soldiers on anything other than postcards. I wouldn’t call myself a royalist but then I had spent the day pouring over a manuscript with British, and supposedly French, royal connections so happening upon such a typically royal custom in action seemed like a fittingly serendipitous end to the day. So if you are struggling with a research topic my advice is to hang in there, as you never know what will turn up. 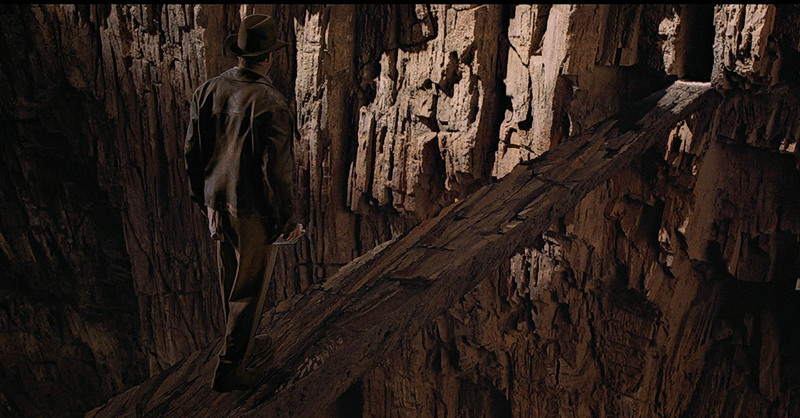 And, like us, you may find that your Holy Grail is a lot more interesting to look at than the one Indiana Jones chose so wisely! Dr Elizabeth L’Estrange is the author of Holy Motherhood: Gender, Dynasty and Visual Culture in the Later Middle Ages and is currently working on a study of one of Queen Claude’s ladies-in-waiting, Anne de Graville. 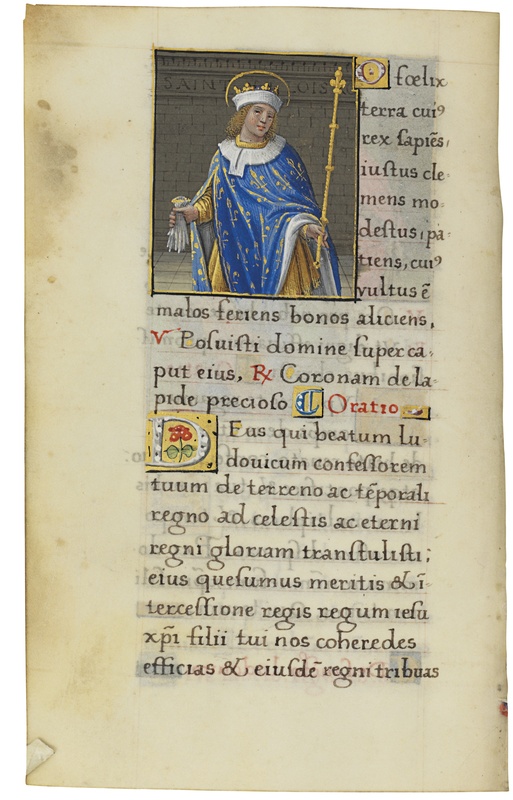 You can find out more about her obsession with medieval manuscripts here.